A long division sum on a blackboard. A basic multiplication sum on a blackboard. A basic addition sum written on a blackboard. A basic subtraction sum written on a blackboard. Writing a mathematical equation on a whiteboard. 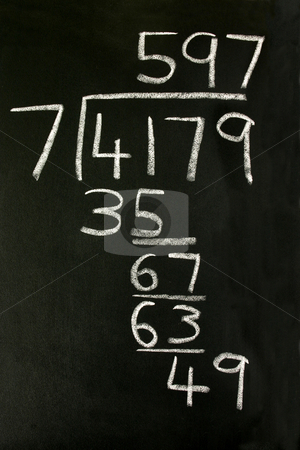 Photo of A long division sum on a blackboard.